Summary: The summer after senior year is not going as eighteen-year-old Lu Charles expected: after her longtime boyfriend unexpectedly breaks up with her, Lu can’t write a single word, despite the fact that her college scholarship is tied to her columnist job at hip online magazine Misnomer. Then, she meets Cal. Cal’s ever-practical girlfriend Iris is looking ahead to her first year of college, and her plans do not include a long-distance boyfriend. When Lu learns that Cal and Iris have planned to end their relationship at the end of the summer, she becomes fascinated and decides to chronicle the last months the couple will spend together. The closer she gets to the couple, the more she likes them, and the more she wants to write about them. The summer unfurls, and Lu discovers what it really means to be in love. On the page, or off it. The book is touching exploration of love and how it shapes us both during a relationship and after it has ended. I received an ARC from the publisher in exchange for an honest review, and I'm so glad that I did, because I really enjoyed this book, and it's easily my favorite of Adi's books by far! I know it's only August and that this book doesn't come out until April 2019, but I just enjoyed it so much that I can't wait that long and I have to post my review right now. So let's get to it! As the summary explains, Lu Charles is a writer, and she's just been dumped. So she's struggling, unsure of how to write a column on love when she's stopped believing in it -- that is, until she comes across Cal and Iris, an adorable couple that she immediately becomes infatuated with. More particularly, she's obsessed with the way they've decided to let their love last even through the impending sadness of them having to break up when Iris goes to California for college at the end of the summer while Cal stays here. So Lu sets out on a mission to write about the two of them and study them and their relationship, to see where she went wrong with her own. But of course, things don't go according to plan. This book was cute in so many ways. Not only was Lu a writer, but she was also really obsessed with love, so I related to her a lot and I really liked seeing the book from her perspective. (Even though there were some things that irked me about her a little bit, which I'll explain later on in this review.) So I felt like I connected with her a lot as a reader. Also, Cal and Iris's relationship was super adorable and I was almost as obsessed with them as Lu was. Their relationship reminded me a lot of mine and my boyfriend's own relationship, with their unique little quirks and the way that even in the quiet or "uneventful" moments, they still found ways to gravitate toward each other and show that they were in love. It really made me smile a lot and I felt really warm and fuzzy inside. Also, living and going to school in New York City made me appreciate this book even more because I loved all of the little references that made me smile and reminded me of home. I particularly liked the fact that Pete and Lu spent so much time at The Strand, which is one of my favorite places! And Starla, the bookseller that they befriended, seemed pretty badass and cool as well. I'd definitely love to have someone like her as a friend! My favorite characters in this book were definitely Cal and Iris. Like I mentioned earlier, their relationship was really super adorable and I couldn't stop thinking about them or enjoying the scenes where they showed up. Their relationship was definitely goals, and even as individual people, they seemed super interesting and enjoyable -- definitely the kind of friends I'd love to have! (Minor spoilers in this paragraph so please skip the next one of you don't want to read spoilers!) Surprisingly, the character I enjoyed the least in the story was Lu herself. When it came to her writing her article, the first time she wasn't able to meet her deadline, I understood. But after it happened several more times, I got sort of tired about hearing about her failure to write and her apparently disasterous writer's block. It's almost like I wanted to shake her and be like "Girl!!! Come on!!!!! Stop complaining and start doing!!" Even though, of course, I know it isn't that easy. But still. It got sort of frustrating, eventually. Even though I was impressed with the way things worked out for her in the end, and the fact that she wasn't given endless chances. Seeing a main character have a consequence like that for her decision (even if it ended on a semi-nice note) was a refreshing thing to see. (More spoilers! Next paragraph, please!) When I found out about Cal and Iris at the end of the book and the decision they made for their relationship, my heart was so warm and happy. Like I said earlier, I shipped them from the very start, so seeing how everything ended was really enjoyable! Overall, I really enjoyed Brief Chronicle of Another Stupid Heart. This book made me laugh and swoon in so many different ways, and reading a book set in my favorite place in the entire world made it even better! 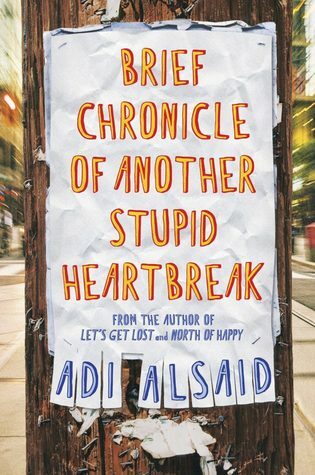 If you haven't read any of Adi Alsaid's books yet and you aren't sure where to start, I definitely recommend this one, because you won't regret it! I saw this one a few weeks ago and thought it looked good. Thanks for the review. I'll be looking for it come April! 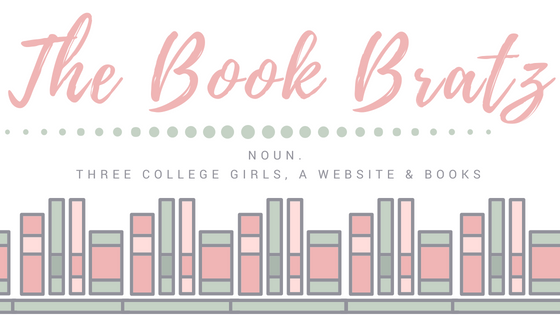 Top Ten Tuesday: Favorite Book Blogs! WHAT!? 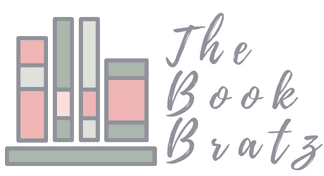 We Reached 350,000 Page Views Giveaway!